Extend your car's life with this sleek chrome finishing to prevent early damage. . 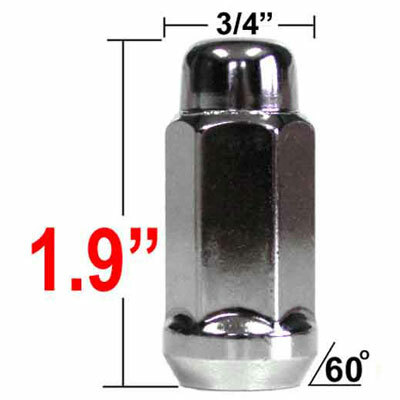 These Gorilla lug nuts are made with high quality tempered steel. Custom made with absolute precision for any make and model . Nice product. Delivery was very fast. Good transaction. Exactly as stated and what I wanted.